Savoy, one of the oldest nations in Europe, was annexed by France, in 1860, through an annexation treaty. France has not respected the conditions of the treaty, particularly with regard to neutrality and the free-trade area. The Savoy League was created in 1994 and, in less than one year, became the major political movement in Savoy. The league has restored the history of Savoy to its people and built-up its support on its ability to demonstrate invalidity of the 1860 annexation treaty. better appreciate our country, Savoy, its history, its geography, its economy, its population. better understand the aims of the Savoy League and the reasons why it wishes to see an independent Savoy. The 1860 annexation followed a dubious referendum when the people of Savoy were only given the option of either becoming part of France or remaining on the periphery of the newly born Italian State. The population was never offered the option of independence or the opportunity to join the Swiss confederation. Furthermore, since 1860, two of the main conditions of the annexation treaty namely, neutrality and the maintenance of a free-trade area, have not been respected and therefore render this treaty invalid. This small presentation outlines the major aims of the Savoy League. It is also possible to discover our Savoy Federation Constitution Project . To read the Savoy News : on-line information includes the contents of the "Echo de Savoie" magazine and links to other Savoy and European websites. to reach the Savoy League boutique . to contact us (wherever you are) or to join the Savoy League. who are working towards the independence of Savoy. Far from being a utopian dream, the rebirth of Savoy as a independent State is just the natural conclusion of a long historical and political journey . Independence will allow Savoy to start walking again as a free European State, to rebuild a country with an improved democratic basis, to rediscover a prosperity based on European economic and cultural opportunities, after one thousand years of commercial, artistic and scientific activity. Much more than purely separatism the independence process can represent a model for other Europeans, to reach beyond centralised states which, at the dawn of a new millenium, act as obstacles against democratic expression and international exchange. By the 31st September 1999, the league had more than 4 500 members and a further 60,000 sympathisers had also joined the campaign. In the regional elections of 1998 (The first election to be contested by the The Savoy League). The League obtained 6.1 % of the votes in Northern Savoy and 4.8 % in Southern Savoy, to which, 3.7 % for the regionalists of the "Mouvement Savoie" can also be added. It can be seen from the results of the 1998 regional elections that the independence of Savoy is making considerable headway in the population as a whole and is more than the dream of just a few activists. 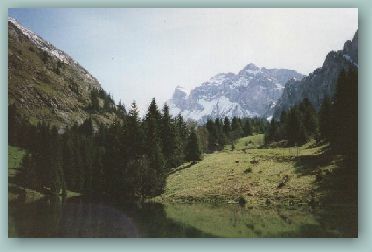 A BVA survey carried out for the Rh�ne-Alpes Objectifs magazine (July-September 1998), showed that that 28 % of the Rh�ne-Alpes population is in favour of an independent Savoy. Additionally two further recent surveys(see adjacent table) confirm that the ideas promoted by the Savoy League are gaining popular support. At the present time, many of the represenatives of the two Savoy departments are pushing for the implemenation of a unified Savoy Region. Others have already joined the Savoy League. You too can join us : click here to know more about membership of the Savoy League and to get a membership application form. Does Savoy have a cultural and economic identity as strong as the Corsica or Britanny? (1) Survey carried out on the 14th August 2000, and published on the 31st August 2000 in the following newspapers, "le Messager", "l'Essor Savoyard" and "La Savoie". (2) Survey carried out on the 30th August 2000 and published on the 23rd September 2000 by "Objectifs Rh�ne-Alpes".